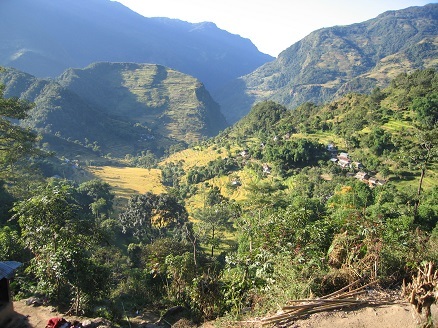 Nar Phu valley trek takes you to the remote villages of Nar and Phu. 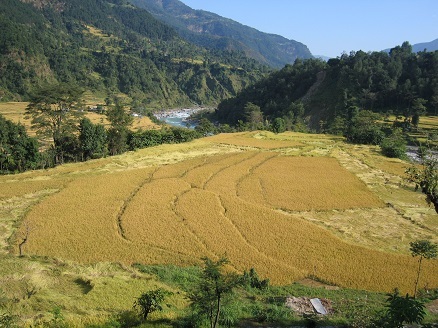 Nar Phu valley is located in the isolated corner of the north of the Annapurna region. 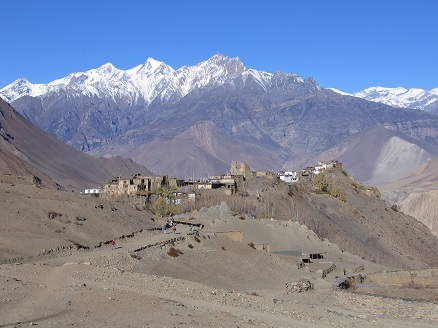 We start this trek on the same trail as Annapurna Circuit trek. 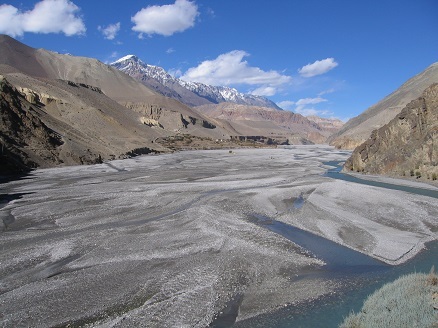 After arriving in Koto and before reaching Chame, we cross the bridge leading over the Marshyangdi River to the steep portals of the Nar Phu valley. 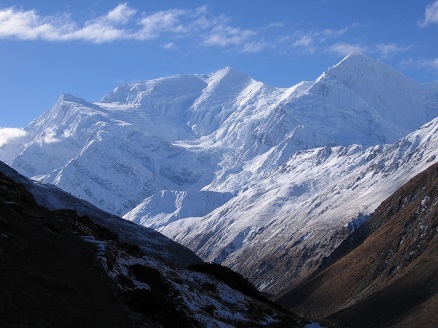 The Nar Phu valley trek is a great choice as a non touristic destination and is a very special trekking area of Nepal. It is rich in cultural heritage. Traditional life style and wonderful nomad landscapes are the rewards of taking this exploration journey in this remote hidden mountain valley. 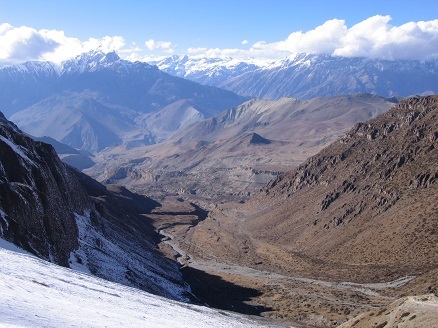 Nar Phu valley opens up to a huge expanse of high snow-peaks, ancient villages and high altitude grazing settlements. 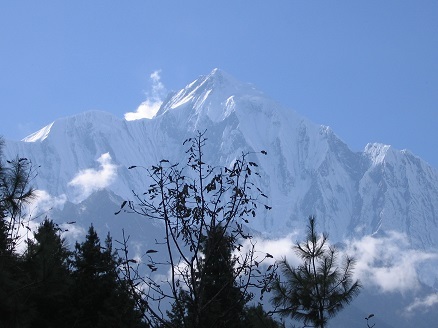 We can enjoy mountain view of Annapurna II, Annapurna III, Annapurna IV, Gangapurna, Tilicho Peak, Pisang Peak, Chulu far, Chulu east and Chulu west. 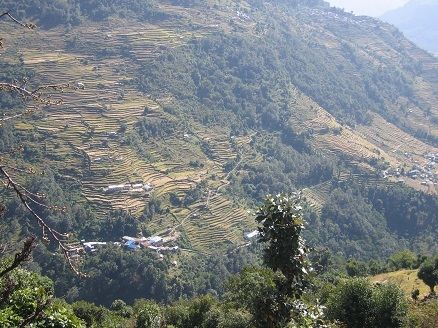 You can either do this trek as a camping trek or tea house trek. 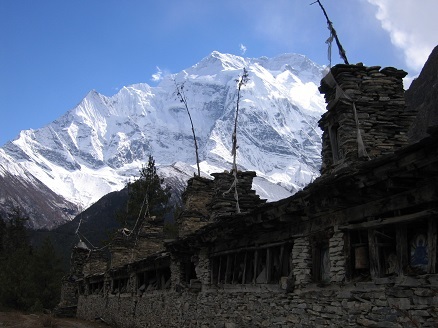 If you do tea house trekking, there are basic accommodations and simple Nepalese food available. 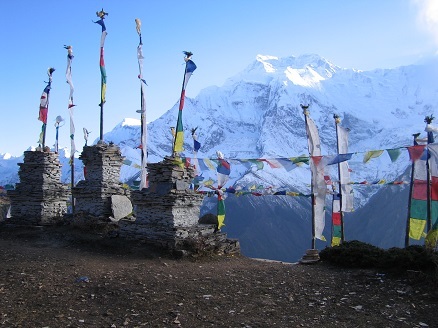 The cost for tea house trek is comparatively lower, making it more affordable. 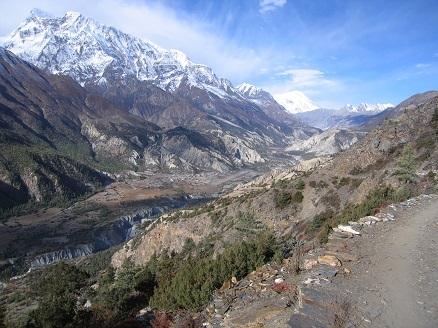 After crossing Kang La Pass (5315 m), you can head to Manang to rejoin the Annapurna Circuit trek and then continue to Jomsom via Thorong La Pass. Alternatively, you can take a flight from Humde Airport and fly back to Pokhara. Please find below our proposed 12 days Nar Phu trekking itinerary. This itinerary is flexible and can be customized based on your requirements. Please contact us for the price and quotation. Day 1: Arrival in Kathmandu. Upon arrival, our TT4FT representative will officially meet and greet you at Tribhuvan International Airport and transfer you to your hotel. Overnight in hotel. 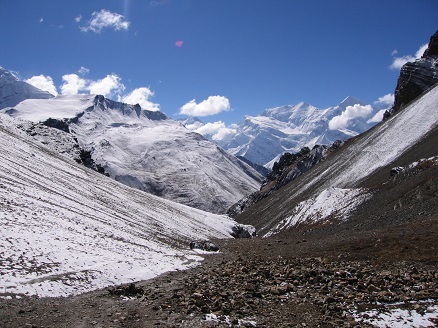 Day 2: Take a bus or jeep from Kathmandu to Besi Shahar, Syange OR Koto (2600 m) 8-9 hours. Overnight in guest house (B,L,D). Day 3: Koto To Meta (3230 m) walking 7-8 hours. Overnight in guest house (B,L,D). 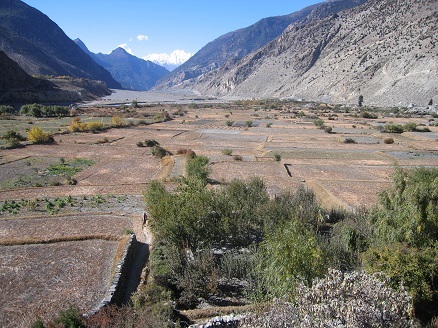 Day 4: Meta to Phu Village (4050 m), walking 7-8 hours. Overnight in guest house (B,L,D). Day 5: Explore around Phu Village and Monastery. Overnight in guest house (B,L,D). 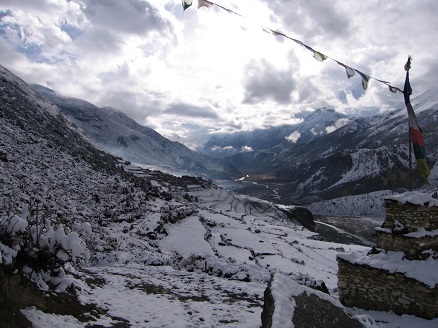 Day 6: Phu Village to Nar Phedi (3820 m), walking 5-6 hours. Overnight in guest house or monastry (B,L,D). 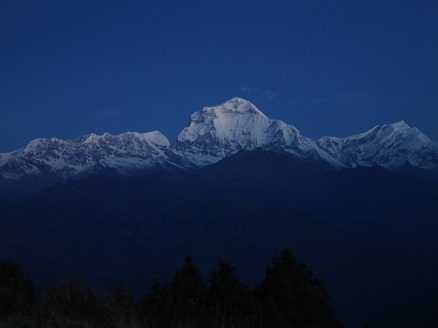 Day 7: Nar Phedi to Nar Village (4150 m), walking 2-3 hours. Overnight in guest house (B,L,D). 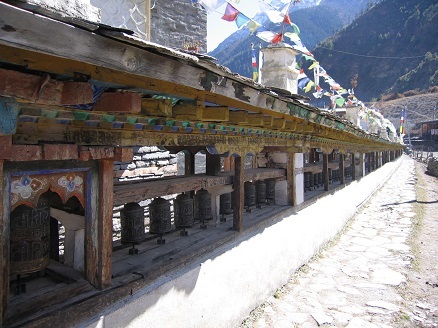 Day 8: Visit four monasteries in Nar Village, overnight in guest house. Overnight in guest house (B,L,D). Day 9: Nar Village to Ngawal (3680 m) via Kang la pass (5315 m), walking 8-9 hours. Overnight in guest house (B,L,D). Day 10: Ngawal to Humde Airport (3450 m), walking 4 hours. Overnight in guest house (B,L,D). 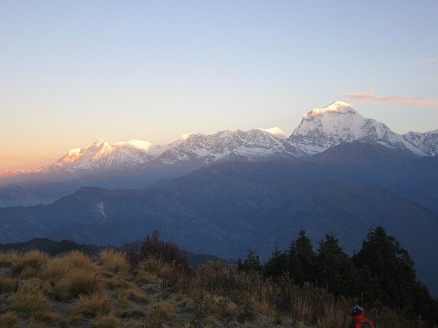 Day 11: Humde to Pokhara by flight 30 minutes or by bus to Kathmandu 15 hours. Overnight in hotel (B,L,D). Day 12: Final day of the trip. We bid you farewell as our representative transfers you from your hotel to Tribhuvan International Airport for your departure from the beautiful Himalayan country. 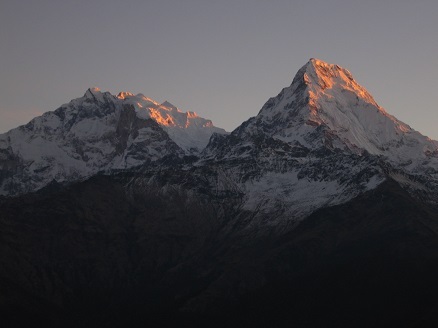 We hope to welcome you back soon for your next adventure in Nepal.